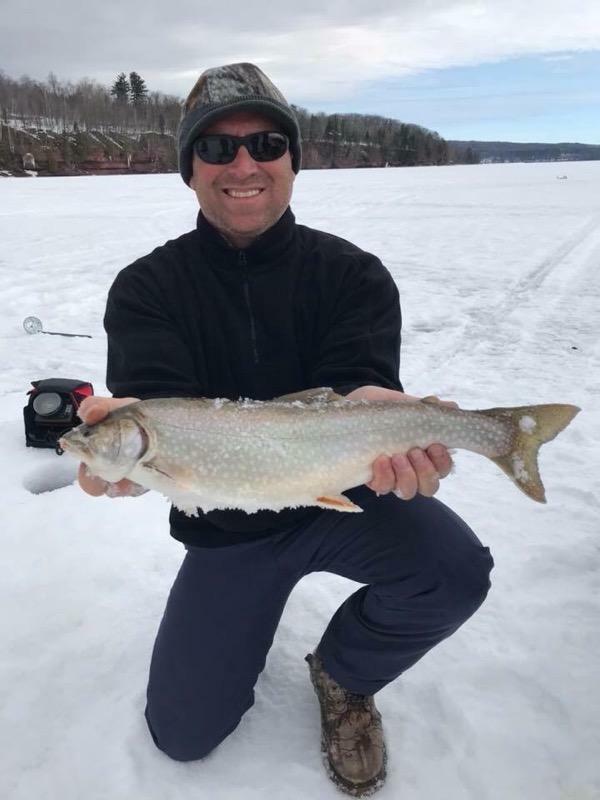 Ice Fishing in the Apostle Islands can be a difficult endeavor and to catch a targeted species and to stay safe on the very unpredictable ice it is highly recommended to go with a guide. The Ice fishing season starts and ends in Chequamegon Bay and in January, February and March we venture into the islands if the ice conditions are appropriate. Your guide is Captain Jody who has been ice fishing the Apostle Islands for over 20 years and is a retired Coast Guard engineer stationed out of Bayfield, Wi.